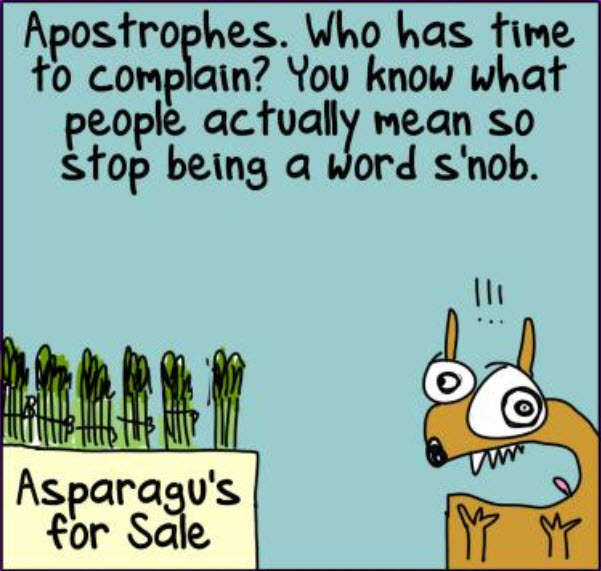 The First Dog on the Moon cartoonist makes fun of apostrophe snobs in last week's guardian newspaper: Only snobs care about apostrophes: some correct and popular opinions. 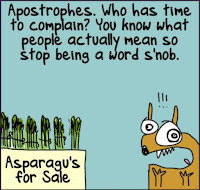 It's good fun and as a satirist, the First Dog is not really insulting people who insist on the correct use of apostrophes. 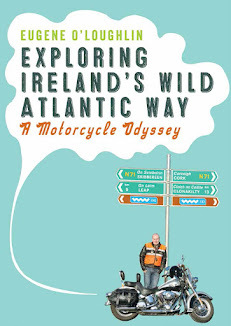 I'm also sure he is not having a go at Irish surnames - many, like mine, have an apostrophe in them. I am a self-confessed apostrophe snob! Your name is one of your most precious things - and I always appreciate the effort that people make to get my surname right. The correct spelling of my family's surname is "O'Loughlin", not "Oloughlin", or "O Loughlin", or "Loughlin". The apostrophe is on all keyboards, just like other symbols and the rest of the alphabet. If people don't make the effort to get a surname right - in a way they are giving a mild insult. Leaving out the apostrophe is the most common error that people make when they get my name wrong. Would "John Smith" be insulted if the name omitted one character and was written as "John S ith"? Perhaps if there were more famous people who had an apostrophe, then people would get it right. I hope that Beto O'Rourke gets to be President of the United States - if only to show the world how an Irish name is spelt! It is not snobbish to want your name spelt correctly - make the effort!